House Democrats led by Speaker Nancy Pelosi touted a new plan they say gives more middle class Americans health coverage under the Affordable Care Act (ACA) Tuesday afternoon. Outlets had first reported on Pelosi’s intent to make a health care announcement Monday in the wake of Mueller probe news that had Democrats searching for a distraction. The push comes as roughly 100 House Democrats eschew Pelosi’s more moderate stance and support Medicare for all, a bill to place virtually all health care payment in the government’s hands. Pelosi praised the ACA for “delivering a pillar of health and economic security” days after its ninth anniversary during a press conference to unveil the legislation Tuesday. 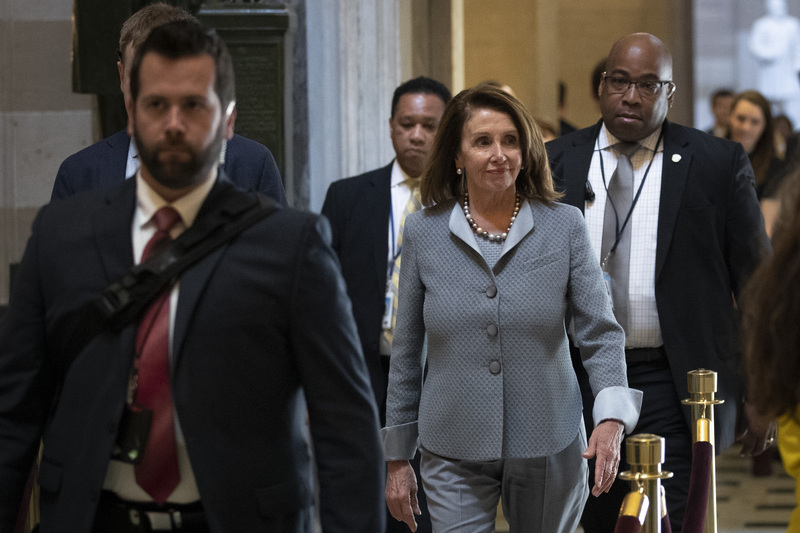 The legislation would also reinstate ACA advertising and outreach budgets and prevent the Trump administration from issuing many waivers that let states tailor how they provide coverage, Pelosi’s office told PBS. Neither Medicare for all nor Democrats’ latest health care package have chances of passing the Republican-controlled Senate. But portions of the package unveiled Tuesday could garner bipartisan support and become law, according to PBS. Many Democrats with more moderate bases would be in trouble should Pelosi put Medicare for all up to a vote. House Democrats’ push to cement parts of the Affordable Care Act as Republicans try to keep their “repeal and replace” campaign promises comes at an opportune time. The Department of Justice sided Monday with a December district court ruling that found the ACA violated the Constitution. The move could be the first step in a journey to the Supreme Court that could help President Donald Trump fulfill his campaign promise to get rid of Obamacare.